Initial delivery orders totaling $23 million have been awarded under the ID/IQ contract. Haifa, Israel, October 13, 2010 – Elbit Systems Ltd. (NASDAQ and TASE: ESLT) announced today that its wholly-owned U.S. subsidiary, Elbit Systems of America, LLC, was awarded a 5-year, $68 million Indefinite Delivery/Indefinite Quantity (ID/IQ) contract from the U.S. Army Contracting Command in Huntsville, Alabama to supply the U.S.Army, Navy, Marines Corps and Coast Guard with AN/AVS-7 Head-Up Display components including the latest Elbit Systems of America Flat Panel Day and Night Head-Up Display units. Initial delivery orders totaling $23 million have been awarded under the ID/IQ contract. This is a follow-on contract to a $75M ID/IQ contract awarded in September 2005. The new display units increase situational awareness and safety by allowing pilots to fly “head out of the cockpit” during day and night operations. Commenting on the award, Elbit Systems of America President and CEO, Raanan Horowitz noted, “This follow-on order attests to our customer’s satisfaction with our systems and performance track record. 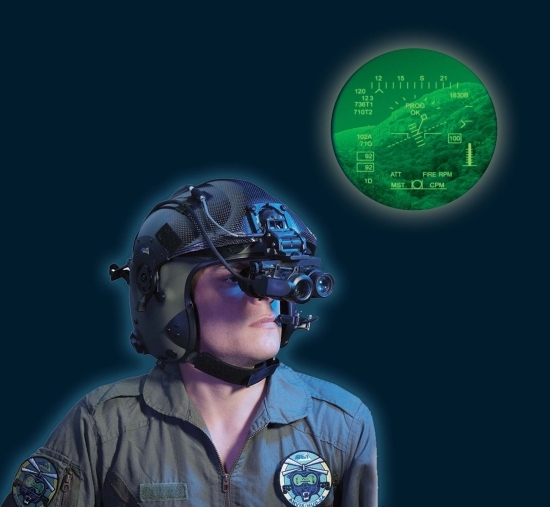 Elbit Systems of America is pleased to provide cutting-edge technology for the warfighter, delivering high quality Helmet Mounted Displays at accelerated pace and supporting critical missions and needs.